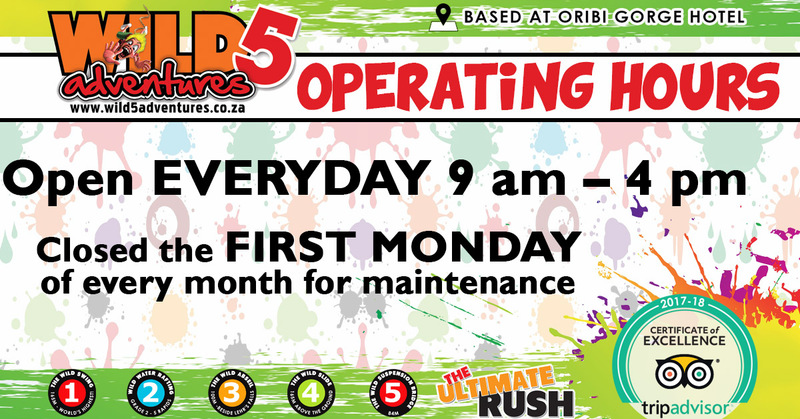 Closed the first Monday of every month for maintenance. 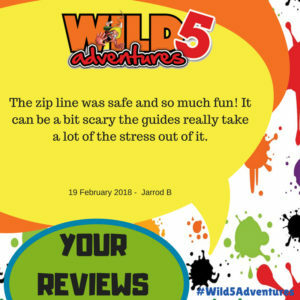 Wild 5 operates on a first come, first served basis. 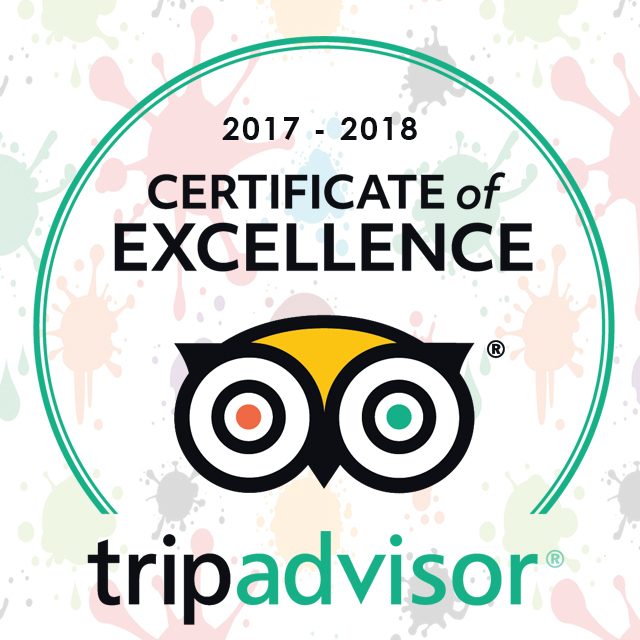 Bookings essential for White water rafting and Paintball. Based on site at the Oribi Gorge Hotel, offers a range of adrenalin-inducing activities that guarantee to get your blood pumping! Take the N2 to Port Shepstone., South Coast. Take the second Port Shepstone turnoff, the off ramp at the Oribi Plaza toll booth which spans the entire freeway. At the top of the off ramp, turn right. Follow this road (Harding, Kokstad Road) for 11 (eleven) kilometers, until you see a sign indicating, Oribi Flats East. Turn right. Continue for a further 10 (ten) kilometers. As you come out of the gorge see a sign for the Hotel and the Wild 5. Turn left onto a dirt road. Continue on this road for approx 1 (one) kilometer. Take the N2 to Port Shepstone, pass through Paddock, after Murchison Hospital (on the left hand side) turn left. The road may be signed as Oribi Flats East. Continue for a further 11 (eleven) kilometers. 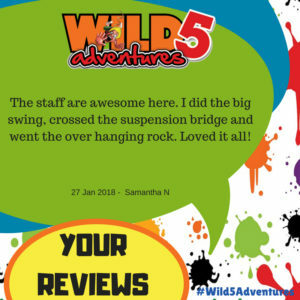 As you come out of the gorge see a sign for the Hotel and the Wild 5. Turn left onto a dirt road. Continue on this road for approx 1 (one) kilometer. Or click here to get directions on your mobile device.